Alcoholics Anonymous and Narcotics Anonymous are international fellowships based on "The 12 Steps.” They are the most well-known of all the addiction support groups. Have You Experienced a Transformation yet? Is It Safe to Open Up at AA Meetings? Is There Anything Wrong with Making Friends at AA? AA vs NA: What’s the Difference? Do You Really Have to Believe in God for AA to Work? Do You Have to Believe in God to Get Help in AA? My Best Friend Refuses Support Groups, What Can I Do? Is there anyone else who is doing the 12 Steps, but doesn't like AA meetings? Step 6 ! Oh, yes, please remove these defects! Should I disclose I'm in recovery? Is AA a religion based group? I can't live like this any longer but I can't afford rehab. Is it fair to go to an AA meeting for a chip when I don't really practice the steps? How Did You Choose Your Sponsor? Anonymity: Is It Harmful or Beneficial? Is anyone actively working the 12 Steps? Men will pat your a**, women will save it. Has Anyone Else Been to a 16 Step Meeting? 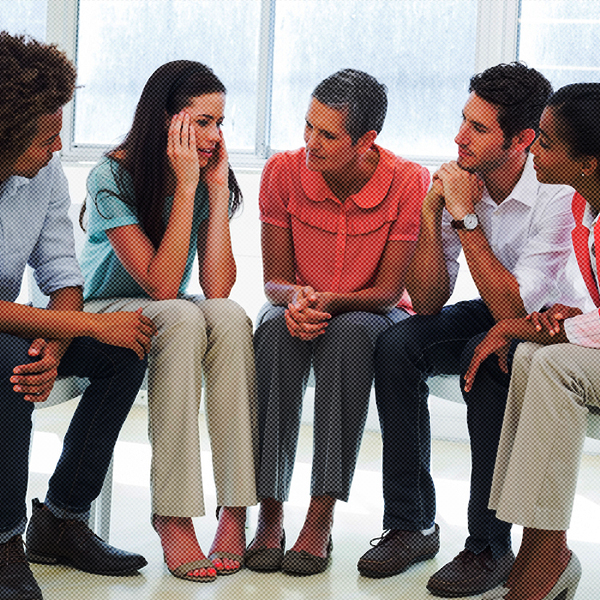 Considering Online 12 Step Addiction Support Groups? Should you 'require' your sponsees to sponsor others?